The vast contrasting national parks of Kenya offers the best game viewing with backdrops of lofty mountains and stunning lakes. 6 Days Kenya safari across the mountain high valley low with wildlife lodge safari to Kenyans most popular parks rich with abundant wildlife throughout the year. 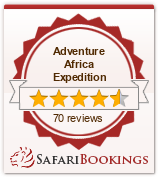 Amboseli Lake Nakuru lodge safaris, Masai Mara luxury lodge safari 6 days Kenya Safari Tour Amboseli lodge safari. The whole day explore the parks amazingly high concentration of game. This game reserve is Kenya's finest wildlife sanctuary. Including migrants, well over 450 species of animals have been recorded here. Mara plains are filled with migrating wildebeest and zebra, there is also resident wildlife year round.The Mara's gentle fertile climate bounded by The Rift, offers perhaps the richest stocked reserve set within some 1672 sq kms - an unlimited spectacle of wildlife. Located 268 kms west of Nairobi, the emphasis here is on game. Herds of immense Elephants, browse among Lion, Buffalo, Thompson's Gazelle, Zebra and Topi. You may occasionally sight a Rhino or Leopard. In the Mara River Hippos play and Cross bask on the banks. The annual migration of a million Wildebeest follows the rains north.After exploring the park return to the same Camp or the lodge for dinner and overnight.